18/10/18 – Perfect, handsome Tommy has found a new home. Well done, Tommy! 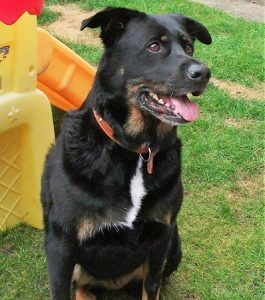 Perfect boy Tommy is an 8 year old Rottweiler cross German Shepherd, in the care of German Shepherd Dog Rescue. 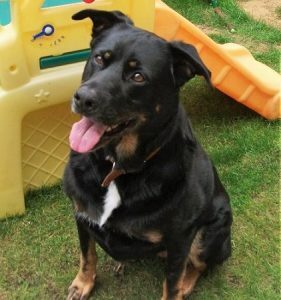 He’s currently in Oxfordshire waiting for a wonderful new family to love. Tommy really has no faults. He loves children, dogs, cats and even the rabbit! He is only in this position now as his owner has sadly died and the family cannot care for him. He really deserves to find his new forever home where he will be loved and cared for as much as he’s used to. Tommy is neutered and healthy. 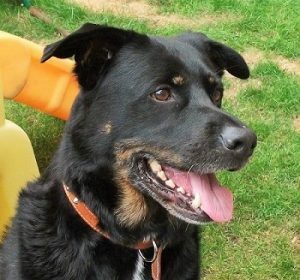 To find out more about this beautiful, biddable boy please contact German Shepherd Dog Rescue by filling in an adoption application form and someone will contact you for a chat. Please say you saw Tommy on the Oldies Club website.